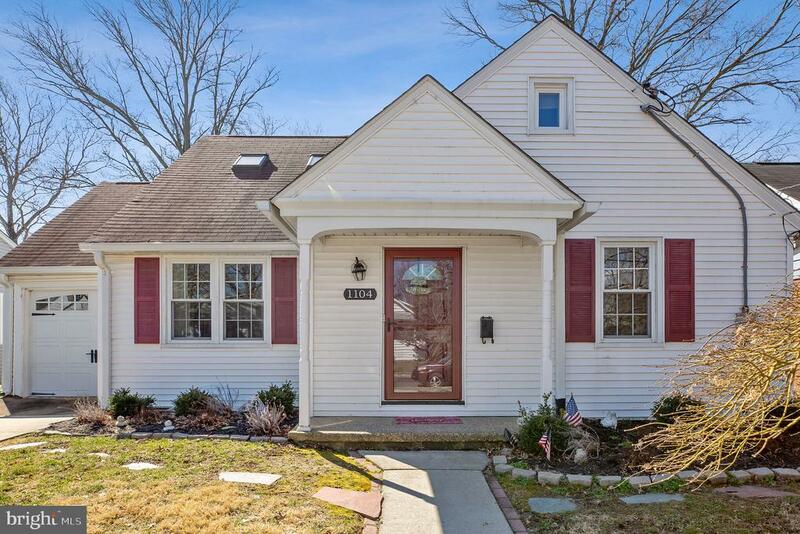 All Haddon Township homes currently listed for sale in Haddon Township as of 04/20/2019 are shown below. You can change the search criteria at any time by pressing the 'Change Search' button below. 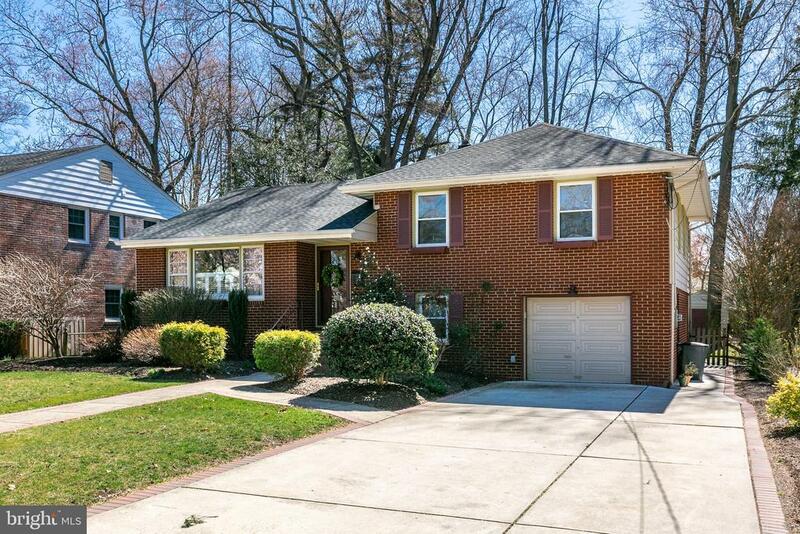 If you have any questions or you would like more information about any Haddon Township homes for sale or other Haddon Township real estate, please contact us and one of our knowledgeable Haddon Township REALTORS® would be pleased to assist you. 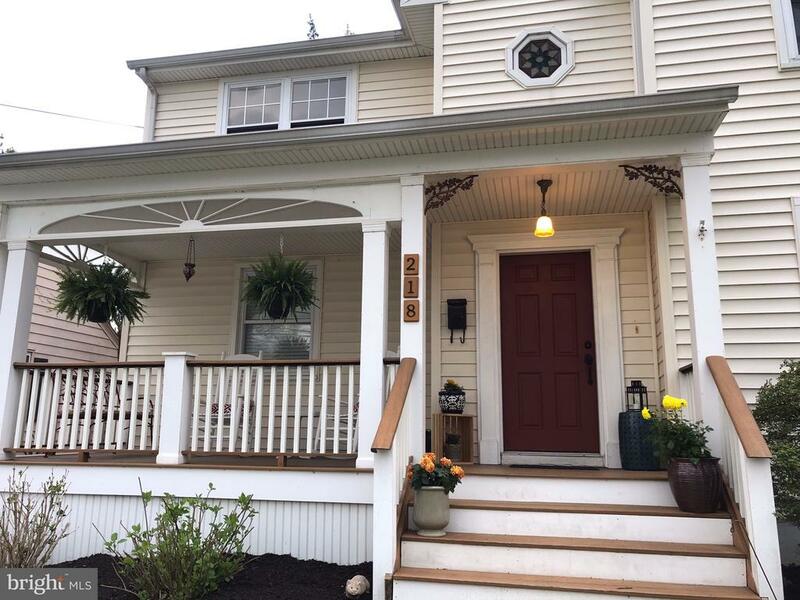 "Welcome to this beautiful new Craftsman style house in the heart of Haddon Township. This unique home has design features like no other! Every feature was carefully and thoughtfully put together. Walk into an open concept layout with a step down kitchen and dining area boasting 10 1/2' ceilings. The kitchen will include a 4' x 10' eat in island with quartz counter tops. It will also include top of the line appliances like the Italian made 36 Superiore range. The finish selection such as tiles and lighting will set this house very far apart. The rear of the house has (3) 8' high sliding doors that draws in all of the light and tranquility from the outside. The master suite includes his and hers walk in closets, a master bath and a walk out deck. 2nd floor has a common area large enough for additional seating area or a work station. The third floor has it~s own suite which includes a bath and another living room. This house shows as if it has 4000+ square foot of above ground living space. The house includes the most technologically advanced amenities. It is pre-wired for smart home technology with Cat6 lines throughout that allows you to control all of your lighting from your phone or a central location, pre-wired for wifi access points for the most powerful signals available on the market (including coverage in the back yard), Ring entrance system, and Nest programmable thermostats. It sits in the middle of a very quiet street yet is walking distance to restaurants, shops, and the speed line. There is a one car garage but a driveway wide enough for 2 cars side by side. The backyard will have vinyl fencing. Estimated delivery is in April. Don~t miss the opportunity to own the most incredible home in Haddon Township.This unique concept home was designed and built by Gold Leaf Designs who specializes in bringing urban design ideas into suburban life." "This is The One! Custom built and located close to everything this colossal home boasts approx. 3688 square feet of beautifully appointed Living Space,Located approx. 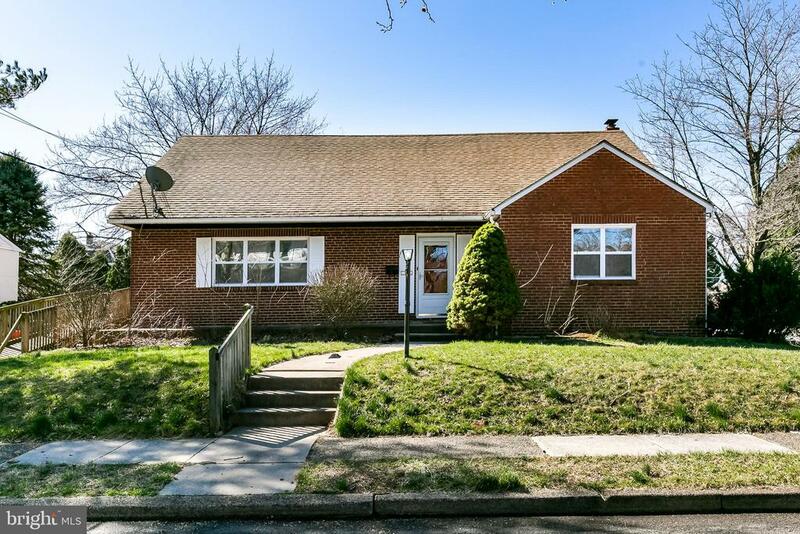 7 miles from Philadelphiaand walking distance to Cooper River Park,Also you can walk to PATCO,churches, school, playgrounds and Haddon Ave. shopping. This home featuring 5 BRs & 3.5 baths. Perfect for the growing family. Make your appointment Today to see this Super Home!" 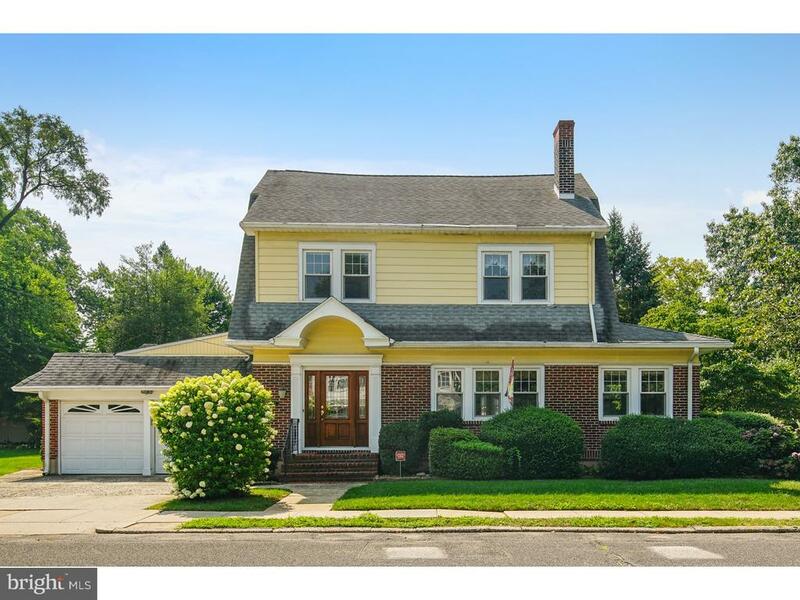 "This charming Colonial is located in one of the most sought after neighborhoods in Haddon Twp! Enter through a foyer, complete with large coat closet, and a beautiful formal Living Room with wood burning fireplace greets you to the right. Directly off of that is space perfect for an office or playroom. The Dining Room sits beyond the Living Room and includes corner cabinet, chair rail, and crown molding. The spacious kitchen has peninsula seating, a pantry, and is open to the family room. Access to the fabulous screened in porch is just off the kitchen as well. A 1st floor master with walk-in closet and private full bath is great for in-laws if there is a need. Finishing off the 1st floor is a powder room and laundry. The second floor has 3 nice sized bedrooms and a large full bath. The third floor was used as a 5th bedroom by current owners but does not currently have heat. Hardwood floors and updated windows are an added bonus, and nothing beats a 2 car attached garage when the weather takes a turn for the worst! The basement is full and dry. All this and an extra large lot!! This well maintained and solid home is a 10+!!" 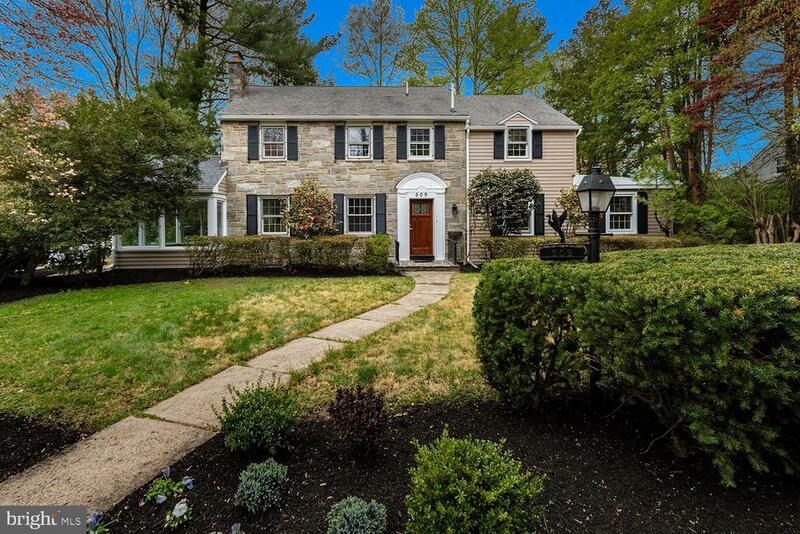 "Beautiful, quarry stone front home in desirable Haddon Township awaits. Completely updated, literally top to bottom, making this feel like a new home - but with the character, craftsmanship and appeal of a classic home. 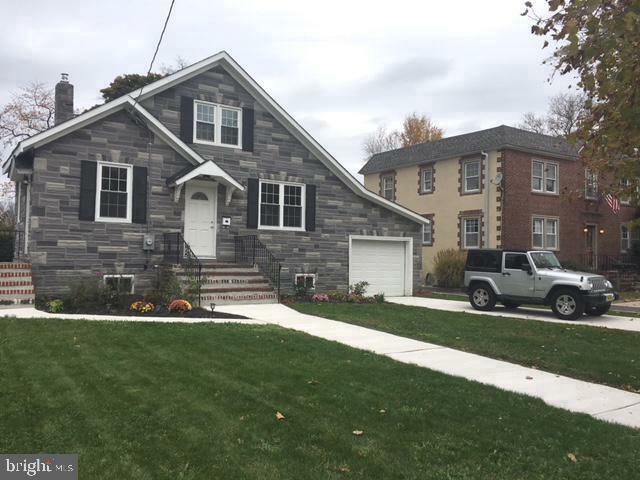 This stone and new siding, expanded colonial, offers curb appeal and a welcoming front walkway that lets you take it all in. Enter the home to a modern and clean palette set against the beauty and detail of walnut finished hardwood flooring and staircase. From the entryway, the living room shows off its expansive feel and offers a beautiful centerpiece, or anchor, to the room with a stone wall and fireplace. From beyond the fireplace is a delightful all season room that provides a garden view. From the living room this home opens up to a large dining room or a more casually appointed extension of the kitchen as it opens fully to the kitchen. The dining room also has access to an enclosed room onto the backyard. The kitchen has been entirely updated in a crisp palette of grey and white and features new granite countertops, stainless appliances and white cabinetry. An exquisitely tiled backsplash completes the details. The kitchen flooring is porcelain tile planks and the light package throughout provides the right light and look for this modern classic update to a classic home. From the kitchen is the very large family room that features a sliding door out to the back of property. A half bath completes the first floor. Upstairs are three well proportioned bedrooms. Two bedrooms share a new, tiled full bath and the master bedroom, large and with a full glass enclosed shower. The bedrooms each have dark wood flooring that add character and warmth. This home also has a full basement that is so clean you~ll take a double look around - painted, with new hot water heater, 2-zone heat/AC and plenty of space to use for storage and added space. Outside the backyard has a wooded island and detached garage - but the surprise in space comes from the space"
"NEW NEW NEW!! 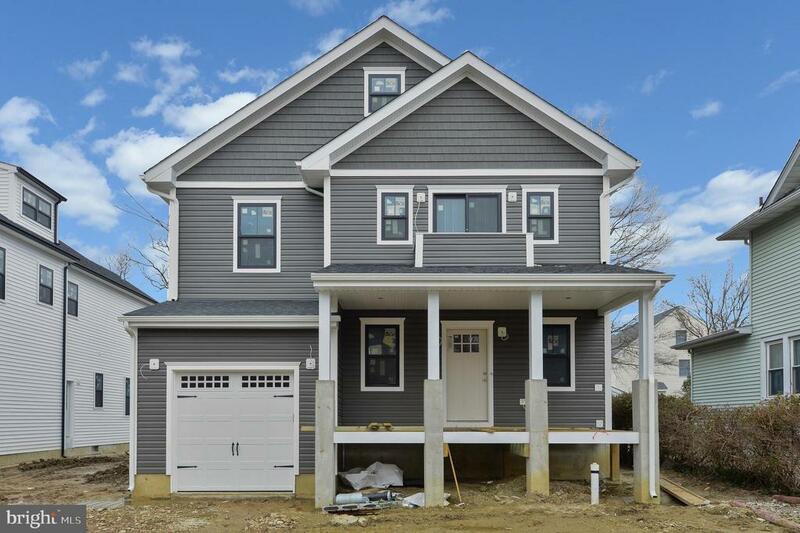 Yet another dream home created by JVR properties in one of the hottest areas in Camden County. Situated in the desirable Emerald Hills, 1 Emerald Avenue is just a block away from Strawbridge Elementary and meer minutes from all the amenities of Westmont, Haddon Township, and Collingswood; a short drive into Haddonfield, and easy access into Philadelphia on the Patco Speedline. A beautiful remodel, this former single story home has been given some major upgrades, including adding on an entire floor- it is practically a brand new construction! Sleek gray engineered hardwood floors run throughout this home, with a large open plan layout on the first floor. The kitchen beckons you to enter, featuring a huge 9ft island with gorgeous granite countertops. Attention to detail has been paid, with custom lighting details and bevelled subway tile, brand new LG appliances, stainless steel farmhouse sink and designer faucet. The master bedroom featured a large walkthrough double closet to a private master retreat, with a double vanity and quartz countertop, and spectacular patterned tile shower. The second floor also features three further bedrooms and a family bathroom, mirroring the tile found in the master, and quartz countertop vanity. There is a large, clean basement that is perfect for storage or could be converted into useable living space, and further attic storage space. The backyard has a brand new 6ft privacy fence, a patio area and a small deck of the kitchen/dining area. This home is modern living as you want it to be, and we promise will not stay around for long." "WOW! I WAS NOT EXPECTING THIS! YOU WILL NOT FIND THIS SIZE LOT ANYWHERE ELSE IN HADDON! Prepare to be amazed! This beautiful 4 bedroom 2.5 bathroom single family home has just over 2,500sf - not including the finished basement. DO NOT let Cuthbert Blvd discourage you. This double wide lot offers an extra long driveway which allows you to turn around when pulling out, along with parking for SIX cars! Not a single square foot of this home was left untouched. Brand new soft close kitchen cabinets with white quartz countertops, complete with a subway tile backsplash, and beautiful stained oak floating shelves. Brand new stainless steel appliances round out this beautiful kitchen! The brand new pantry will leave you enough room for much more than just food. Brand new laminate plank flooring has been installed through out the entire first floor of the home. The first floor master is complete with brand new laminate plank flooring and trim along with a fully renovated master bathroom which has a brand new rain shower head with subway tile walls and a dual sink vanity. The master bathroom is complete with radiant heat flooring. There is an over-sized bonus room which would make for a great kids room, den or could be used as a 5th bedroom! The upstairs is made up of two generous sized bedrooms along with a full bathroom which was completely gutted with marble herringbone tile. Walk down to your fully finished basement with brand new carpet, paint, and more than enough head room - a rare find!!! Finally you'll find a laundry room with brand new vinyl flooring and brand new washer and dryer. You will be begging to laundry in this laundry room! Out back you'll find an all new paver patio, which leads to your fenced in yard and over-sized driveway!" "Stylish brick 3 story home located on a large premium lot with manicured grounds. 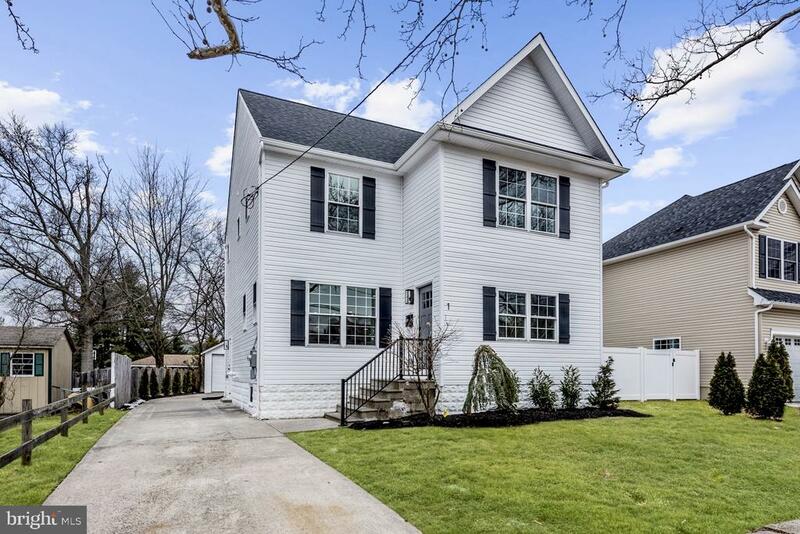 This home has been impeccably maintained both inside and out and offers a large foyer, elegant living room with picture window, gorgeous updated eat in kitchen with center island breakfast bar, granite counters, recess lighting, tile floor & backsplash. Formal dining room that has a French door that leads out to a beautiful and bright sunroom addition which opens up to a rear deck & patio that overlooks the scenic gardens. The 2nd floor has 3 spacious bedrooms, recently updated bathroom and access to the attic for additional storage. This home also has refinished oak floors and newer windows throughout, 1 car detached garage with inside access, updated gas heat & central air, laundry room and 200 amp electrical service. Located on one of town's premier streets convenient to schools, crystal lake pool, Patco Line and the trendy Main Street restaurants and pubs. Here's your opportunity to purchase nice home in one of South Jersey's hottest towns. Don't hesitate and schedule your appointment today.."
"MOTIVATED SELLER! BRING YOUR OFFERS!If you want privacy on about a half-acre of land then you need to see this custom-built home located on a dead-end street that backs up to 26 acres of historical and protected land called the Saddler's Woods Conservation. This neighborhood was founded by Joshua Saddler and according to Haddon Township records and maps it was part of the Underground Railroad safe haven. The first level has a den with wood burning fireplace, half bathroom, laundry room, and foyer. The second level has a spacious living room, dining room, and eat-in kitchen. On the third level you'll find 3 spacious bedrooms and 2 bathrooms, with the master bedroom having its own bathroom. Plenty of good sized closets complete the bedrooms. The large finished basement offers many possibilities. Hardwood floors galore, new laminate flooring, newer central air-conditioner, multi-zoned heating, updated hot water heater, new Trex~ deck, and huge fenced-in backyard with storage shed. The home also has an extended driveway to accommodate lots of parking and has a 2 car built-in garage. A short walk to award-winning schools, two playgrounds, and Haddon Township's Crystal Lake Swimming Pool and recreation area. Located about ~ mile from the Westmont Patco Station, and walking distance to shopping centers, restaurants, and all major roadways with quick access to Philadelphia and areas of South Jersey. Schedule your appointment today!" "What's on your wish list? open floor plan, plenty of living space, carefree & maintenance free lifestyle, established neighborhood, convenient location and top ranked school district. Then this 4 bed 2 bath 2 story colonial is for you. Spacious and Open 1st floor plan will be prefect for entertaining this holiday season. Gourmet Kitchen with top of the line Frigidaire stainless steel refrigerator and stainless steel dishwasher, built in Maytag microwave, stainless steel gas oven/range, grayish granite counter tops with ceramic subway tile back splash and soft close white cabinets. There's a separate breakfast room with breakfast bar as well as a formal dining room. Crown molding and recessed lighting add a touch of elegance to the 1st floor. With a full bath located off the dining room, the bonus room can be used as a 5th bedroom, playroom, craft room, den or home office. 2nd flr is brand new with 4 bedrooms, all generous size rooms with plenty of closets and a gorgeous full bath that features an over sized stall shower with custom marble and hing less glass doors. Completely renovated with new 2 zone HVAC system, 150 amp electric service and new wiring, new hot water heater, insulation added and new sheet rock walls. New roof with 40 yr dimensional shingles, New siding and completely maintenance free exterior as all soffits and fascia have been capped. Small rear deck off back door opens to a good size rear yard with shed, long driveway can easily accommodate 4 cars. 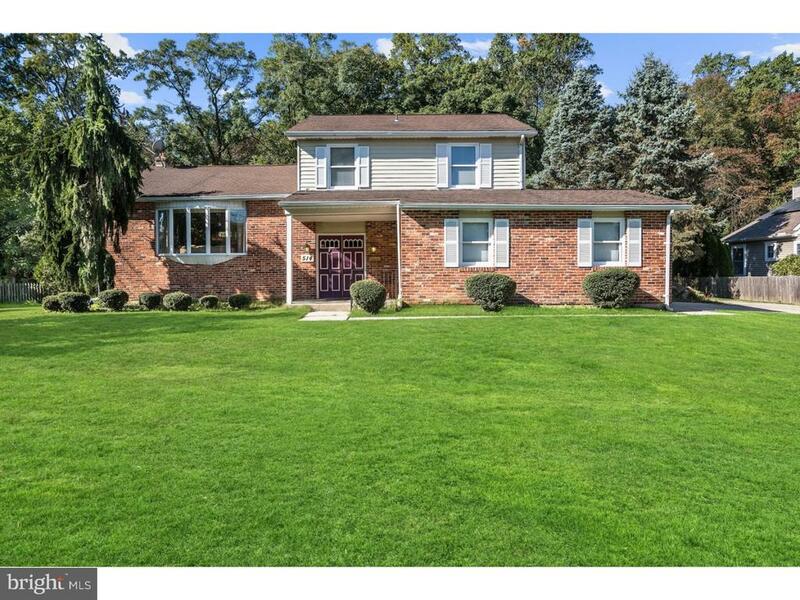 Convenient location in the center of all things Haddon Twp, You can walk to schools (k-12) or Crystal Lake Pool. Steps from downtown Haddon Ave Pubs, shops & restaurants. Work in CC Philly? 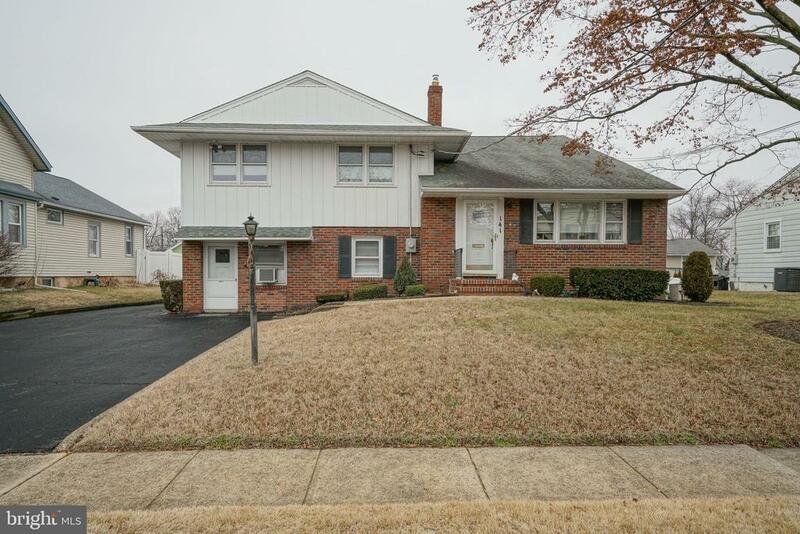 you can walk from your front door to the Westmont Patco train station." "Beautiful Cape Cod with Second Story Addition, Corner property, Wonderful location close to all major highways, beautiful Newton Lake Park, Patco and part of the highly rated Haddon Township School District.Great Deck overlooking fenced in yard.Front of the home has bright living room and dining room, hardwood floors, beautiful fireplace with doors leading out to the deck. 1 bedroom and full bathroom on first floor. Upstairs 3 bedrooms and full bathroom. Master Bedroom with walk in closets and sitting area. Great Kitchen, Stainless Steel Appliances Beautiful Cabinets. 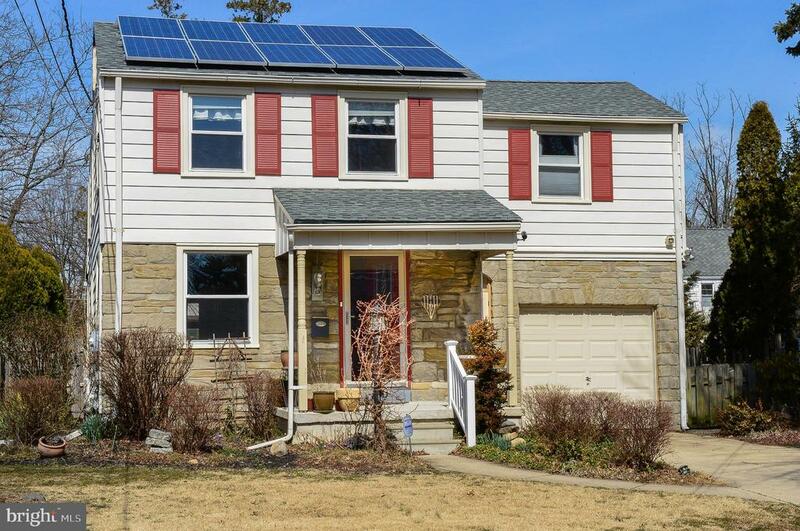 Basement is split into storage, laundry and then a family room area with 1/2 ba"
"Move right into this stylish, energy efficient, Four Bedroom Colonial in Haddon Township! Solar panels are conveyed with home- no monthly lease! Conveniently located, walk to Patco, and Cooper River. Minutes to Philadelphia and great shopping at Garden State Pavillions. This home offers everything you are looking for! First floor has Living Room, Dining Room and amazing Gourmet Kitchen. Kitchen has upgraded cabinets, quartz countertop, stainless steel appliances, including a Bosch dishwasher, pantry and recessed lighting. Awesome Family Room with stone fireplace, Powder Room. Mudroom is spacious, and could be used to expand Bathroom. Second floor has four bedrooms and a beautiful updated bathroom. Hardwood floors and replacement windows throughout. Backyard has beautiful deck and mature plantings. High efficiency HVAC systems, clean high basement, newer roof. One car garage and shed. Easy to show!" "This home is exactly what you have been waiting for! Warm, welcoming and priced to sell! You will love the traditional feel with modern amenities. The master suite has his and hers walking closets! Master bathroom has a jetted tub and a tile stall shower with a double vanity! Second floor laundry will give your lifestyle ease! 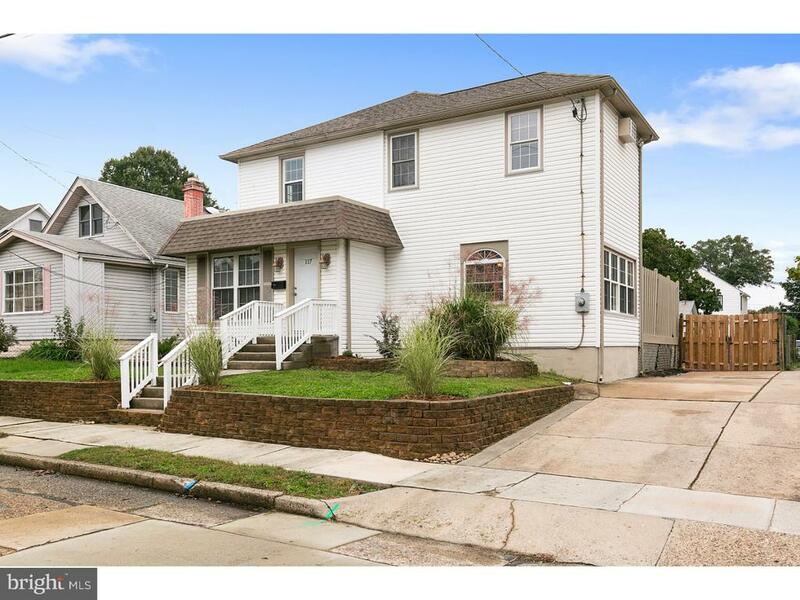 Walkable to PATCO high speed line, local schools, NJ Avenue Park, Cooper River Park and the local Westmont Farmers Market. Join the local town pool to cool off in the summer and festivals at the town square all year long! Enjoy all that Haddon Township has to offer and be able to walk to it all! Make your appointment today, this home will not last! ONE YEAR HOME WARRANTY INCLUDED!" "Welcome home! This lovely 4 bedroom 3 full bath, open floor plan, two story home is waiting just for you. Main level features inviting living room, cozy dining area, full bath and laundry room. Also on this level is a Master bedroom with full bath. The kitchen shows off stainless appliances, Quartz countertop with center Island, subway tile backsplash and Butler pantry-This kitchen is worth seeing! The upper level has 3 bedrooms and another full bath. This home also features recessed lighting and central air. All new utilities including HVAC and hot water heater - (2017). This is steps from all of Haddon Avenue's dining, attractions and PATCO station. What are you waiting for. Make appointment today!" "Cozy, charming & convenient - is that what you've been looking for? This well loved home is ready for a new owner to take the lead. The exterior is aesthetically pleasing and captures your attention even just in passing. But this home has so much more to offer than what initially meets the eye. As you walk in the front door you enter into a bright, spacious dining room area with hardwood floors, newer neutral paint and crown molding for that well put together feel. Transitioning nicely into the kitchen your feet are met with neutral tile flooring and a kitchen equipped for a chef. The custom cabinetry is natural toned wood with a built in pantry and the countertops are easy maintenance granite. There is a 5 gas burner stainless steel built in Fisher & Paykel range. A small breakfast bar nook in the kitchen allows for you to eat in the kitchen. There is ample cabinet and counter space here for all of your cooking needs. Off of the kitchen is a well lit four season room with cozy carpet, a ceiling fan and walls lined with windows. Out this back door you can step onto a concrete patio and look out into the spacious, fully fenced in & private backyard space. A great size yard - not too much and not too little. The hot tub located in the backyard is not included in the sale but is negotiable - it is only 2 years young and features bluetooth capabilities. Back inside we find 2 bedrooms on the main level, both with hardwood floors and crown molding. On this level you will also find a full bathroom with an updated vanity, tile flooring and tiled tub shower. Through the door by the kitchen and up the steps brings you to the very private master bedroom suite. This room features hardwood floors, a ceiling fan, skylights, a sitting area/office nook, a fully updated master bathroom with an oversized tile shower and more closet space than you could have guessed. There is interior access to the one car garage which can handle most of your storage needs. Down in the basement it is "
"Wow, you need to get here and check out this amazing home!! Located only 1 block from Cooper River Park, and a short walk to Haddon Ave shopping and restaurants! This home sits on a nice corner lot! There is a huge wrap around porch, just waiting for your morning coffee! Inside there is a spacious living room with hardwood floors, crown molding and chair rails! The formal dining room also has hardwood flooring, chair rails, wainscoting and French Doors that lead out to the deck, which is perfect for your outdoor entertaining! The brand new kitchen is just beautiful, ample cabinet space with a pantry, granite counter tops, subway style ceramic back splash. There is also a stainless steel appliance package in the kitchen! There is plenty of room to enjoy your meals in the bright and cheery breakfast room! Upstairs on the second floor you will find 2 bedrooms and a full bath, that has a laundry area! The first bedroom has a large walk-in closet. The hall bathroom is brand new with double sinks, a large storage cabinet, beautiful ceramic tiled bath/shower combo! so much space in this bathroom!! What a great convenience having the laundry on the second floor!! The 3rd floor contains the master bedroom with a walk-in closet and brand new full bath!! The basement has a partially finished room, could be a great play area or man cave, plus plenty of storage space!! Some of the other upgrades include a brand new heater, freshly painted throughout the house, brand new carpeting. The roof, windows and siding are all newer and in great shape! This is such a great house and location. Make your appointment and bring your offer today!" "Seeing is believing. Come and enjoy the spacious entertaining sized rooms with wonderful windows allowing for lots of light. Five bedrooms, one full bath and 2 powder rooms. Partially finished basement with french drain and sump pump and family room. Lower level has laundry room with access to Florida room and rear fenced in yard. Lower level also contains rooms that were once used as an office, could possibly be now used as a mother-in-law suite." 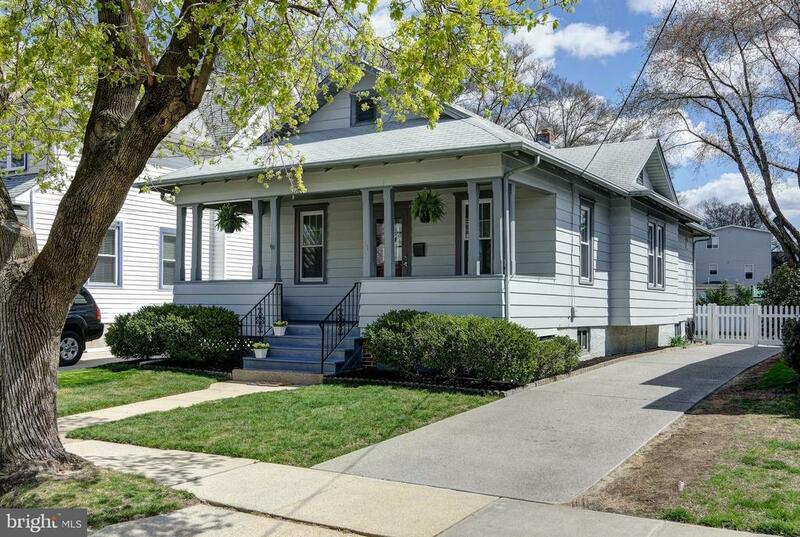 "This lovely home is within walking distance of the historical center of Collingswood, shopping, the speed line and Haddon Township. The front door opens into a generously sized open concept living room which adds to the spacious feel of the home. There are new energy efficient windows, gas heater, air conditioner, and electric panel with upgraded electrical wiring. The entire house has been painted and all hardwood floors had been sanded and refinished. The kitchen was remodeled with new ceramic tile flooring, cabinets, quartz counter top, stainless steel gas stove, microwave, dishwasher, ceiling fan and recessed lighting. On the second floor a second bathroom, a large walk-in closet have been added. The basement offers ample storage and a laundry are with a sink and hook-up for a washer and dryer. There is a one car garage with storage area. The roof and driveway are new. This completely remodeled home must be seen to truly appreciate its upgraded features and charm." 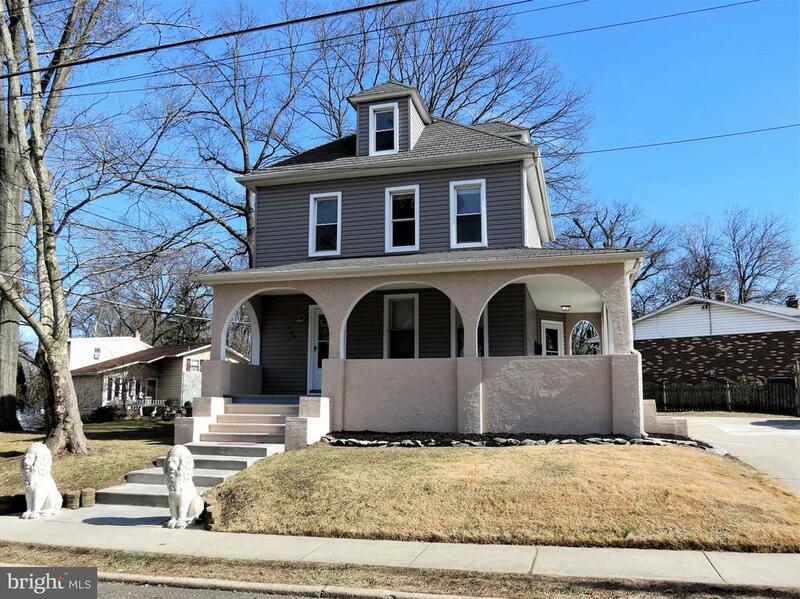 "Beautiful 2 story expanded Westmont home located in the center of town... 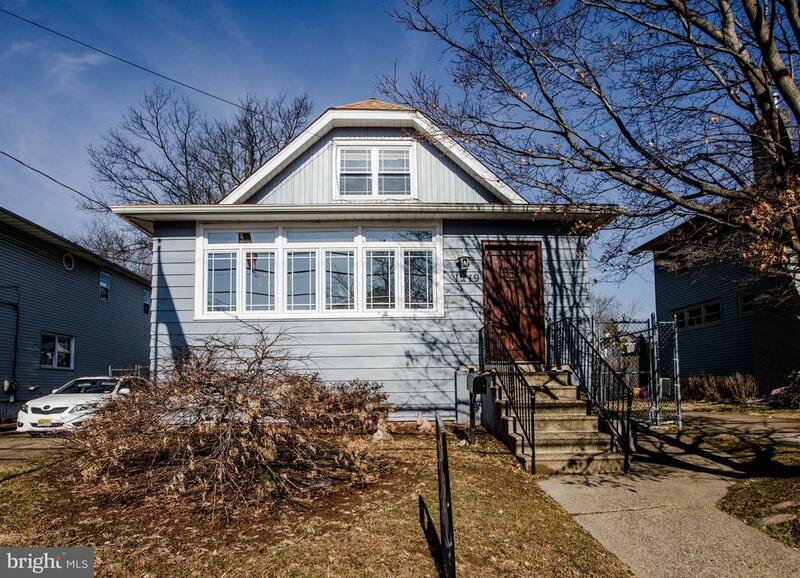 This home offers 3 nice size bedrooms & 2 full updated bathrooms, family room with a high ceiling and hardwood floors, enclosed front porch and 1st floor laundry room. The eat-in kitchen has newer appliances, breakfast nook, ceramic tile floor and sliding glass doors that open up to a nice outdoor deck. This home also has a large master bedroom suite with wood floors and a gorgeous full bathroom, refinished 1st floor hardwood floors, newer windows and large back yard.. Conveniently located to schools, parks, ball fields and the trendy Main Street restaurants and pubs. Here's your opportunity to purchase a nice home in one of South Jerseys hottest towns !" 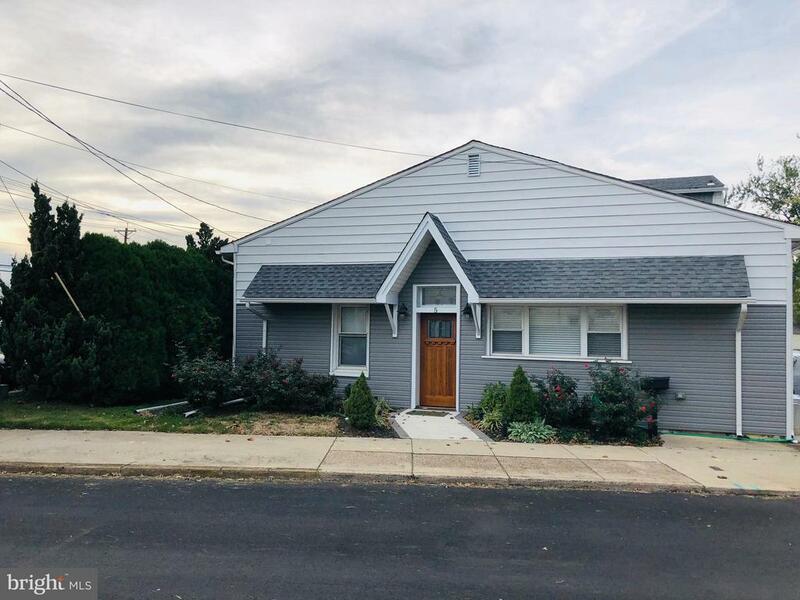 "Newly upgraded and Ready to move-in Single Detached home at the desirable quite neighborhood of Bluebird, near the Copper River Park and great school system of Haddon Township. Cute newly painted spacious home with 3 bedrooms and one full bath and a detached 2 car garage. Enter into the covered porch, overlooking a beautiful front garden, which is ideal for an early morning coffee while reading your favorite book or newspaper. In the main door find a spacious living room with newly polished hardwood flooring all overall the house, which is adjacent to the dining room. Also you will find in the main level is the upgraded kitchen with marble counter tops and full stainless steel appliances. On the left side, there are 2 good size bedrooms and 1 full bath. In the lower level half finished basement with new laminated vinyl flooring where you will find a family room/recreational room and the 3rd bedroom. More storage spaces in the laundry area and workshop. Full attic which is partially floored can be finished as additional room by new owner or for additional huge storage. Newer water heater and a 3 months old Air conditioning unit. Newly expanded driveway, walkway and steps in the front yard. New garage door, roof and reinforced roof beams. This home is 15 minutes walk to the Collingswood Patco Train Station which accessible to Philadelphia or any transfer to Amtrak trains. LOCATION, LOCATION, LOCATION! Schedule your showing Now!" 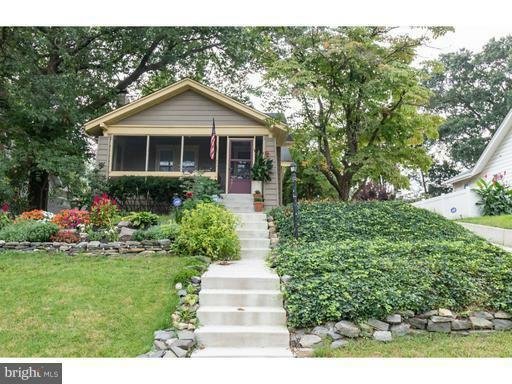 "Location is key with this charming Bungalow. 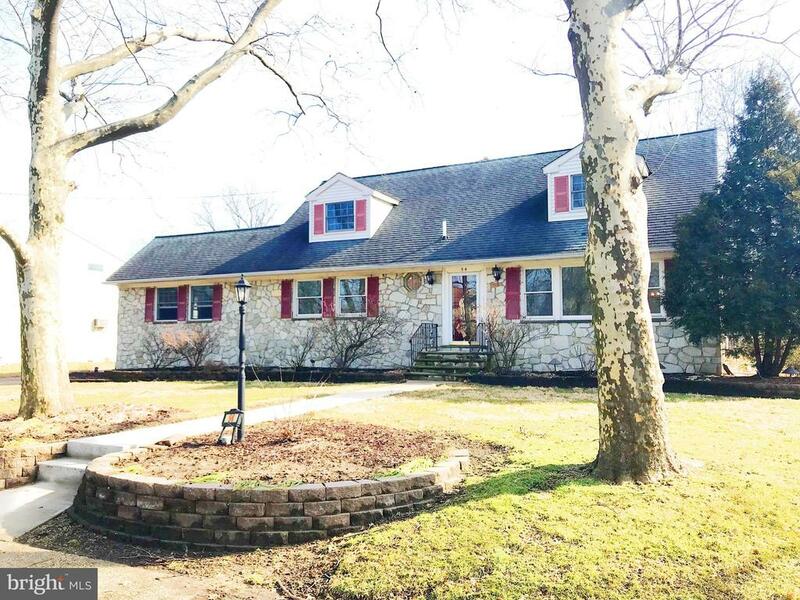 This home is nestled just a block away from all the action on Haddon Avenue in Haddon Township. Walk to the High-Speed line, shops, and restaurants.Enjoy evenings on the Covered front porch and entertaining on the back patio and fully fenced spacious yard.This lovely updated 3 bedroom one bath home in Westmont features a renovated kitchen with new cabinets, wood countertops, and staineless steel appliances. Beautiful hardwood floors throughout.The Basement has a new French Drain system installed in 2019. New Hot Water Heater 2019. Plenty of storage with a laundry area.The walk up attic also has ample storage space and could be converted to a fourth bedroom or Master suite." "kiWell maintained home in the great neighborhood of Newton Lake is ready for its new owners. Enter the home thru the heated sunroom a perfect spot for your morning coffee. Large living room and open dining room feature refinished wood floors. Cool retro kitchen cabinets , stainless appliances and custom butcher block counters. 2 generous size bedrooms and full bath(newer) complete the 1st floor.The second floor features a central sitting area(perfect location for a 2nd bath) 2 good sized bedrooms. great closet space thru out the house. Full dry basement.Newer siding, new windows , roof, AC, water heater. New 150 amp service panel. All knob and tube has been removed. New water main,chimney liner and sewer line. The yard is fenced and also features a large covered porch for entertaining.Brand new one car garage was just installed. !!! !This home qualifies for special financing. 3% down no mortgage insurance!!!" 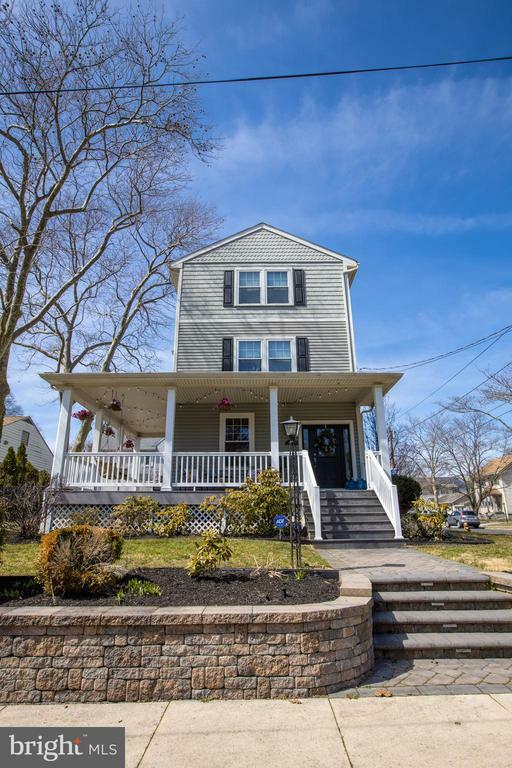 "This totally renovated all brick cape cod features entry foyer, large living room, formal dining room, spacious eat in kitchen, plus 3 bedrooms and a newer full bath on the first floor. The 2nd floor offers the 4th and 5th bedrooms plus a bonus room. The walk out basement has 7 ft high ceilings, laundry area, powder room and a partially finished 38 x 26 area which would be perfect for a family room or play room for the children. Situated on a corner lot, there are 2 driveways and a solid brick & block two car detached garage with a loft. The home has been freshly painted, new carpeting, new windows, central air, tongue and groove subfloor w/steel I beam construction. Great back yard for entertaining and summer fun times with friends and family, plus additional amenities to numerous to mention. 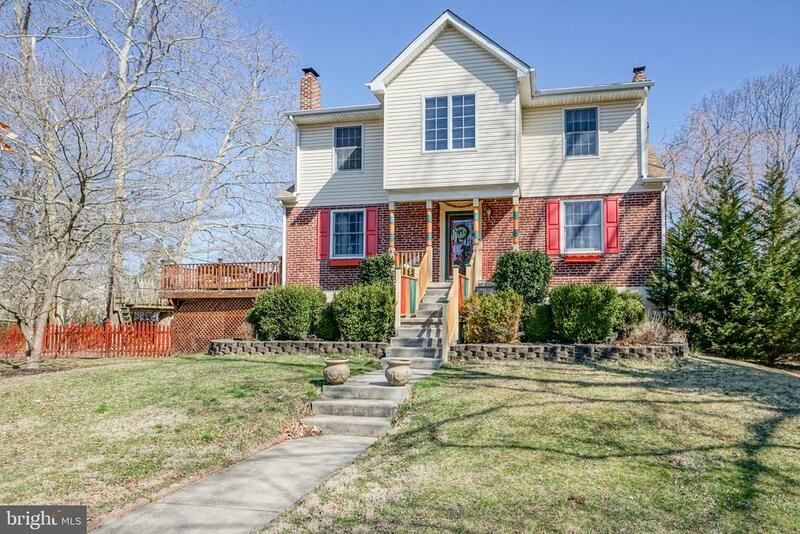 Top rated school district, convenient location, to major highways and bridges. Hurry this one won't last. Buyer will be responsible for any and all certifications, repairs, certificate of occupancy at the buyers expense and labor.Property being sold strictly AS-IS condition." "This home gives the enjoyment of modern style in a suburban neighborhood. 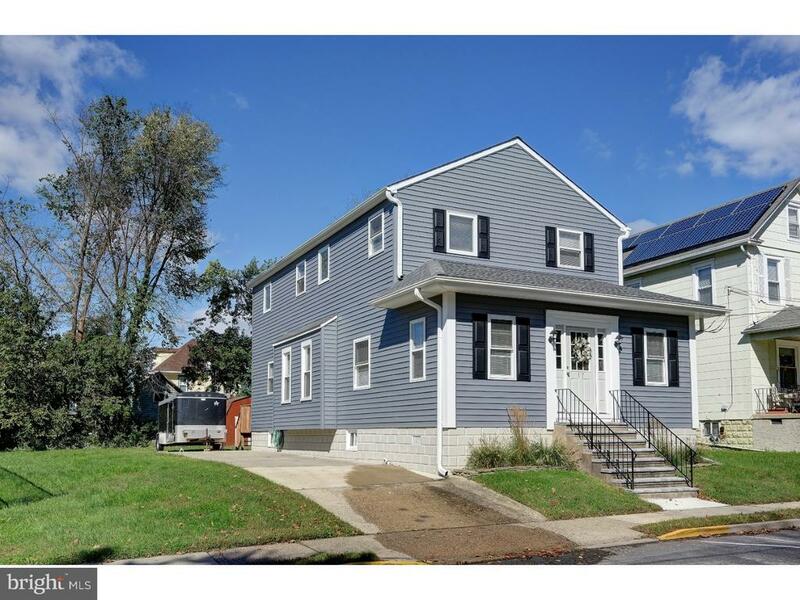 The 2 story Dutch Colonial with three bedrooms and two full bathrooms is unique, verses than any other home found in this area. New landscaping as you approach this home. Open the door and you'll immediately see that the workmanship of this home is top quality. Beautiful hardwood floors run throughout the living room, dining room, bedrooms and stairway. The sun porch faces the front of the house with lots of windows through which allows plenty of Natural light into the house. The sun porch also doubles as an office currently. The living room opens into the formal dining area, which leads into the powder room & bath on the left. There is a breakfast nook and it leads into the kitchen with wooden cabinets and new counter-tops, Stainless Steel Appliances, is the perfect contrast and offers plenty of cabinet space. The kitchen has plenty of natural light a door which leads into the backyard. Imagine yourself in the kitchen you've always dreamed of. Journey upstairs to find three bedrooms with large windows. You will feel right at home after a long day. Great area providing lots of opportunity for outdoor recreation and enjoyment. Close proximity to PATCO and major routes to Philadelphia, Atlantic City and the shore within easy commute. This cozy bungalow is nestled on a quiet street which is waiting for a new owner to enjoy, could be you !!" "Being sold as-is. Purchaser is responsible for all permits, inspections, and certs. Colonial style. 3 bedrooms and 2.1 baths. Bank owned. Fireplace. Full unfinished basement. 1 car attached garage. Don't delay, won't last!!!"